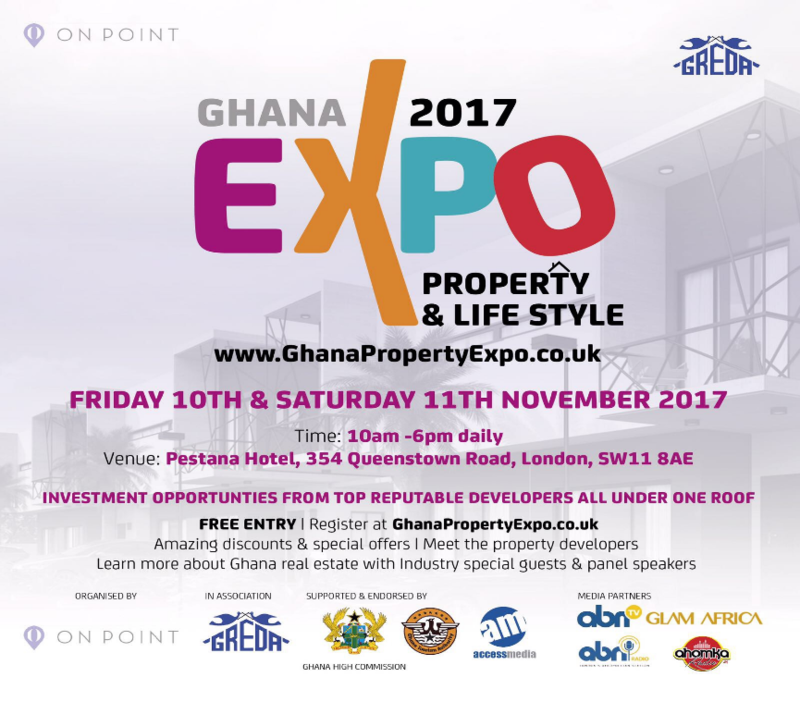 On Point Property presents the 1st edition of Ghana Property & Lifestyle Expo 2017’ In association with G.R.E.D.A (Ghana Real Estate Developers Association). Whether you are looking for a new investment opportunity, holiday or personal home, this property event is not to be missed!! The Expo offers excellent opportunities as it showcases latest projects by renowned and well-reputed developers in Ghana.